PROUD FATHER! WATCH: Son of Kimbo Slice Gets First MMA Win in Devastating 1st Round Knockout (Full Fight Video) - T.V.S.T. I have been a fan of Kimbo Slice since he first started making those crazy backyard fight videos. 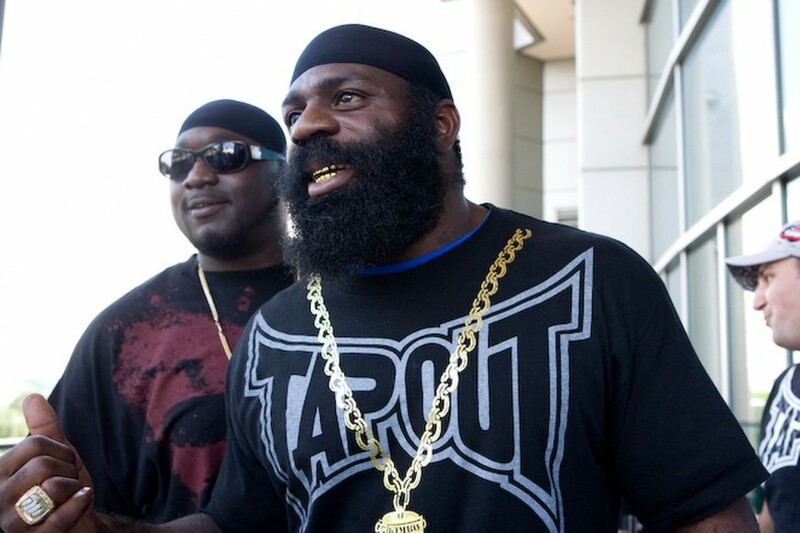 Besides my own father, I thought Kimbo was the baddest, scariest dude on the planet. At 6’ 2”, weighing around 280 lbs (in his backyard brawl days) and fearless, I thought if he ever got into the MMA he would be rich! He entered MMA and did fairly well until he got into the UFC. He had a couple of loses but has been fighting somewhat regularly all the way up until this year. 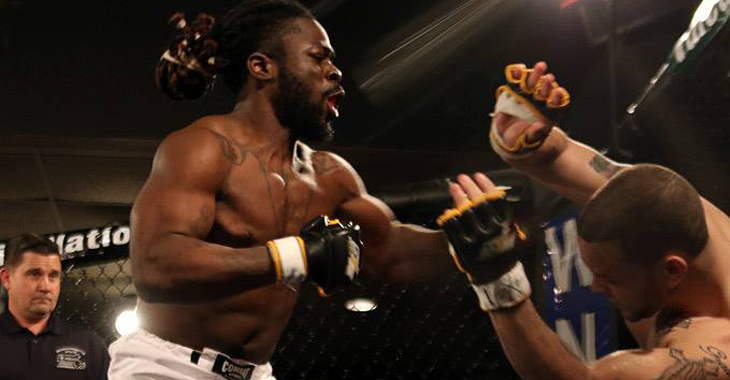 This past February, Slice fought longtime rival DaDa5000 and won by a TKO in the 3rd round. However, Kimbo failed the pre-fight drug test as they found traces of Nadrolone in his system. So far he has not been formally punished by Bellator but some penalty is expected to be issued in the coming months. Papa Slice is not just a fighter, he’s proven that he’s also a lover. It appears in his hey-day, he wasn’t just knocking dudes out, he was also knocking chicks up. He made Baby Slice! Baby Slice’s real name is Kevin Ferguson Jr. and he means business. The 23 year old weighs in at 175 lbs and he is not to be taken lightly. He made is MMA debut this past weekend at Warrior Nation XFA XII and he left his opponent Tom Brink on the canvas in just 83 seconds. 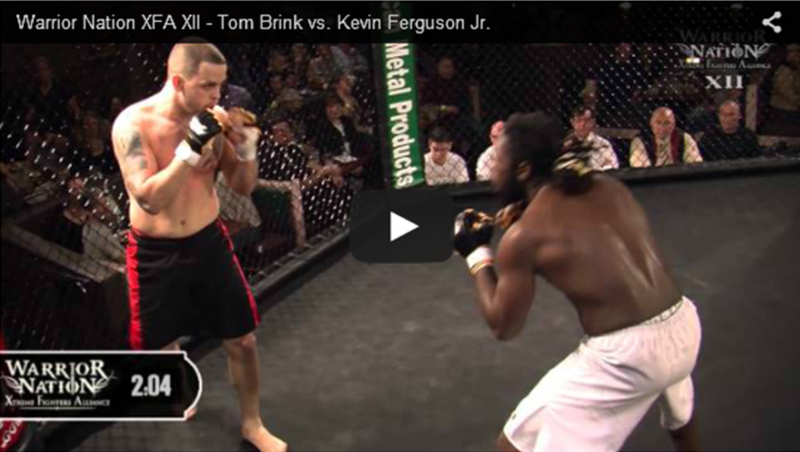 Kevin Ferguson Jr. wants to make a name for himself. He says, “I don’t really care about the attention because once I’m in the ring it doesn’t matter”. Besides winning, he might have to tell people to stop calling him “Baby Slice”. So far, I would say he’s a chip off the old Slice. Wait? Huh? Just watch the video!